Carol Gluck, George Sansom Professor of History. She specializes in modern Japan, from the late nineteenth century to the present; international relations; World War II, and history-writing and public memory in Asia and the West. She received her B.A. from Wellesley (1962) and her Ph.D. from Columbia (1977). 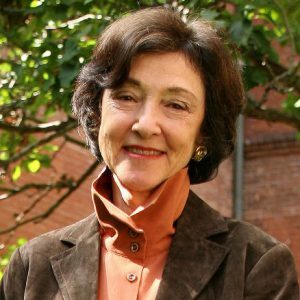 She is a fellow of the American Academy of Arts and Sciences and the American Philosophical Society; former President of the Association for Asian Studies; currently co-chair of the Trustees Emeriti of Asia Society and member of the Board of Directors of Japan Society. She is a founding member and now chair of Columbia's Committee on Global Thought. “Modernity in Common: Japan and World History,” Internationalizing Japan Studies: Dialogues, Interactions, Dynamics, Tokyo University of Foreign Studies, March 2017. “Kimyo de itsudatsuteki na Yasumaru Yoshio no tenshoku” [The Strange and Deviant Calling of Yasumaru Yoshio], Gendai shiso [Contemporary thought], September 2016. “Kindai Nihon ni okeru ‘sekinin’ no hen’i [Changes in the understanding of “responsibility” in modern Japan], in Shisoshi toshite no gendai Nihon , 2016. "Une métahistoire de l’historiographie japonaise d’après-guerre" [A Meta-history of postwar Japanese historiography], in L’histoire du Japon et l’histoire au Japon (Regards sur l’histoire, 2016). “The Seventieth Anniversary of World War II’s End in Asia,” Journal of Asian Studies, August 2015. “The Far Outside and the Deep Within: More Novels on World War II,” Public Books May. 2015. “Meiji e Modernidade: da História à Teoria,” [Meiji and Modernity: from History to Theory] in O Japão no Caleidoscópio: Estudies da Sociedade e da Historia Japonesa, 2014. “Infinite Mischief? History and Literature Once Again,” Representations, Fall 2013. "The End of Elsewhere: Writing Modernity Now," American Historical Review, June 2011.